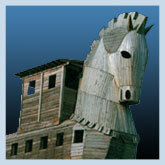 • TROY, PERGAMON, IZMIR (SMYRNA), EPHESUS & BODRUM. • LEARN THE ANCIENT HEALING TECHNIQUES. • MEET LOCAL TURKISH DOCTORS IN IZMIR. 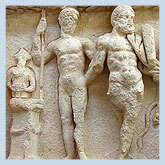 • VISIT KOS, THE ISLAND OF HIPPOCRATES. • OATH SWORN BY THE PUPILS OF HIPPOCRATES. Arrive Istanbul Airport. Our representative will meet you after the customs and baggage claim. You will be transferred to your hotel. The rest of the day is at leisure. “I swear by Apollo the healer, and by Asclepion and the goddesses Hygeia and Panakeia, and I call to witness all the other gods and goddesses that, according to my ability and judgment, I will observe this oath and agreement: I will hold my teacher in this art equal to my parents and a partner in my livelihood; I will respect him as is befitting, and I will not distinguish between his male children and my brothers, and I will teach them the art, if they so desire, without pay and without any other special agreement. I will teach the preliminary and the special lessons, and in general all my medical knowledge, only to my sons, and to the sons of my teacher, and to my pupils, having first made them swear the oath, and to no other. I will use treatment for the good of the sick, according to my ability and judgment, avoiding all harm and wrong-doing. I will give no one deadly poison, even if they seek it, nor will I recommend such a cure. Similarly, I will give no women a peccary to induce abortion. I will keep my life and my art pure and unsullied. I will not operate on those suffering from stone, but will leave this to the skilled and experienced therein. Whatever houses I will visit, I will enter for the good of the sick, and will abstain from any deliberate wrong-doing or harm, and any kind of sexual operation on the female or male body, whether free or slave. And whatever I learn during the time that I am conducting the treatment, as well as during my daily dealings with men, if it be improper to publish this abroad, I will keep silence, considering it to be confidential.